Last year we were happy to announce a new friend of the NETimeGambling group. It’s time to post his report and add it to our “Games & Strategy” Menu. Enjoy. Joe Freda has frequented casinos throughout New England during the past two decades, while also writing for the popular gambling sites of Blackjack Insider (bjinsider.com) and Don Best Sports(donbest.com). Freda can be reached at joe_freda@yahoo.com or through Twitter (@ReloadSports). After making the rounds up and down I-95 over the past few months, I have had my share of blackjack adventures to report on for NETime Gambling. As we await the gambling ‘shuffle’ in Massachusetts to be dealt out, five major casinos in the region stand tall with their share of different conditions. 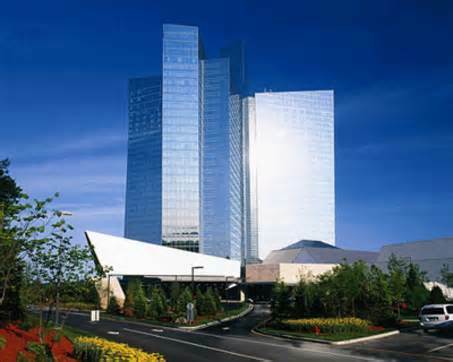 The main floors in Mashantucket deal eight deck shoes with the house hitting soft 17’s, while high-limit rooms in Fox Tower, Club Newport, and Stargazer feature six decks and the more favorable “S17” rules. Surrender is offered throughout, and penetration runs a deep 75-85 percent. Pits have turned up the ‘heat’ a bit in recent times to protect the bottom line, which has unfortunately left me unable to bet beyond any table’s minimum since last year. You will still find friendly dealers and staff throughout the property, making this a top pick for blackjack and other games of choice. Penetration runs a tighter 65-70 percent in Uncasville, but you will find six decks and “S17” through nearly all pits. Splitting 10’s is uniquely not allowed, and surrender is offered on all tables. The “Super Four” side bet in Mohegan Sun’s blackjack has remained popular, giving you a chance at big payoffs for risking an additional $5 wager. Comp points per hour are rather sparse, but occasional “Triple Status” days give you a chance to rise up. Unlike Foxwoods limiting players to three spots of blackjack at a time, Mohegan allows you to play all six if you want to high roll with a black chip on each. 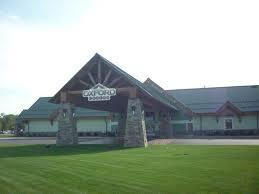 Oxford deals eight decks throughout its casino, with penetration averaging a deep 80 percent. The house hits the soft 17 and surrender is not offered. One higher-limit table ($50 minimum) is tucked away in back of the main floor, but no different rules are used. Auto-shufflers take care of the cards between shoes, keeping the action fast and moving. While all drinks have to be paid for, you can request a food comp for the restaurant. The pit crew and dealers here are some of the friendliest you will find in all of New England, including the hard-working mother/daughter team of Dianna and Nicki. The table game setup in downtown Bangor has a smaller feel to it than Oxford, with maximum bets also on the lower side ($300-500). Blackjack rules and conditions are similar to its Maine competitor (including deep penetration), with a small added advantage that Aces can be resplit. Multiple spots can be played, but you must bet double the minimum (also the case in Oxford). One table on the floor was paying blackjacks at 6/5 and was usually at the lowest minimum from the others. 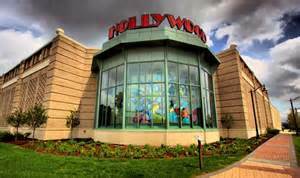 Also note that Hollywood is not a 24/7 casino, closing at 3 am and reopening at 8 am. New Hampshire has its handful of “charity casinos” with low stakes blackjack at a $4 maximum. 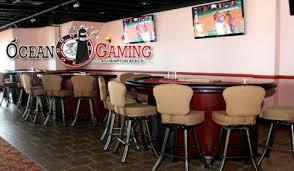 I have played at Rockingham Park (Salem), River Casino (Milford), and Manchester Poker Room (Manchester). My favorite spot in the “Granite State” is Ocean Gaming at Hampton Beach. The house hits the soft 17, while surrender is available. Penetration of the casino’s eight-deck shoes is deep at 75-85 percent, with tables having side bets like “Over-Under” for some added excitement. Ocean Gaming is run by Anthony Fusco, who made the rounds regularly as a Foxwoods pit manager, years ago. Thanks to Joe, who seems to be a wealth of info. Hopefully this will be the first of other posts by Joe. Don’t forget to follow him at at joe_freda@yahoo.com or through Twitter (@ReloadSports).